This is an early work of mine from the time when I was experimenting with the colour theory in general and with complementing colours in particular. Here I accentuated two complementing colour combinations: blue and orange, and black and white. 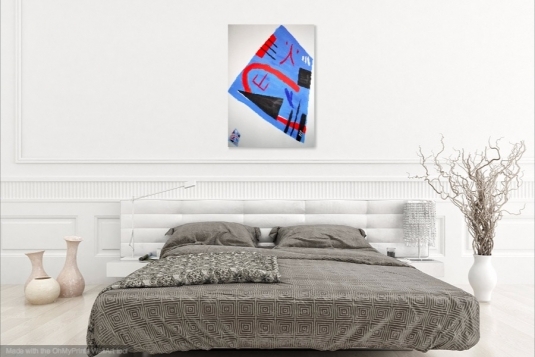 This painting is a geometrical abstract influenced by Wassily Kandinsky with a touch of Japanese culture. Having a musical background, I’ve always loved how Kandinsky compared music and painting: “Colour is the keyboard, the eyes are the hammers, the soul is the piano with many strings. The artist is the hand which plays, touching one key or another, to cause vibrations in the soul”. The two Japanese characters found in the painting mean “fire” and “mountain”, and they mean “volcano” when put together. 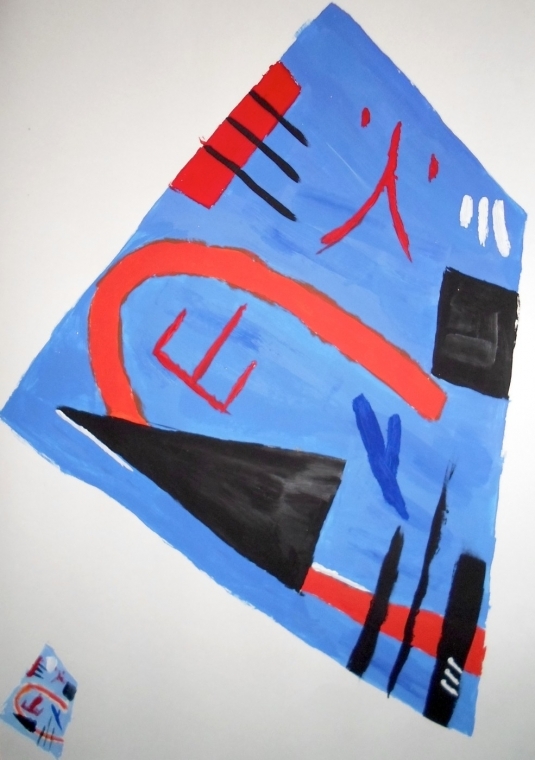 The orange in the painting represents fire and volcano eruption, while the blue represents the sea and the black represents rocks sticking out of water. Contact me if you’d like to commission a similar painting.